At the recent ASIS security conference, displayed alongside the line of ID card printers in one company’s booth was a big metal locker with a reader and computer attached. It was not what one expects to see amid sleek, footprint-conscious card printers. But according to representatives of the printer manufacturer showcasing it, this box could be one of the most important complements to a card issuing system. The metal box was actually a safe designed for secure storage and inventory management of blank cards, printer ribbons, and other consumables. It is another step in the important effort to deter fraud and ensure complete accountability for the entire card issuance process. It is an effort that begins with sound business procedures, continues through staff training and evaluation, makes a stop at building security, and continues through network access control. The next stop on the journey involves the protection and control of materials used in card creation. The safe displayed at the conference was offered by printer manufacturer, Fargo Electronics, and is called the SecureVault™. The safe is specifically designed inside to store cards and ribbons in an organized manner. Outside, it is sized to function as a printer stand and has an attachable tray to hold a computer and RFID reader. Access to the SecureVault is controlled by a card reader on its door. The card reader ensures that only those personnel with specially-issued contactless or proximity access cards can access the safe. A log of this traffic is maintained for security monitoring. An optional inventory management system enables detailed records to be maintained on specific consumables in the vault and the persons that checked out items from the vault. Because most of the company’s consumables ship with RFID tags on the packaging, the optional RFID reader enables items to scanned prior to placement in the vault and automatically entered into the inventory management system. As the items are removed, another quick scan tells the system that the item is being placed into use. While the SecureVault system seems to be a very versatile and well-designed solution, the message that it conveys may be as important as the product itself. Not all card issuers will deploy a solution such as this, but all issuers should learn from its example. Control of consumables can be accomplished in many ways, some technology-driven and others more basic and immediate. The low-tech version of the vault and computer-based inventory management system, is the locked drawer and the clipboard. While any organization can certainly do better than this most basic procedure, it is surprising to learn that many do not even take these most rudimentary of protections. On college campuses, corporate sites, and entertainment venues, I have seen many examples of this. Cards and ribbons are frequently stacked next to the printer in plain view and within reach of card office employees, cleaning crews, and even the general public. Simple steps such can greatly reduce the likelihood of pilferage and potential fraudulent card creation. If you don’t have a secure location to store your consumables, purchase one or more inexpensive fire safes from a local retailer. Limit access and authorize only a select number of key staff to remove items from the secured location. Keep an accurate log of items as they are checked into and out of inventory. These are only the most basic of procedures. Other practices are also imperative to maintaining total inventory control. For example, keeping track of bad cards as well as total cards printed reduces the likelihood that missing cards can be “explained away” as misprints. Better tracking of consumables also leads to better understanding of your supply levels. 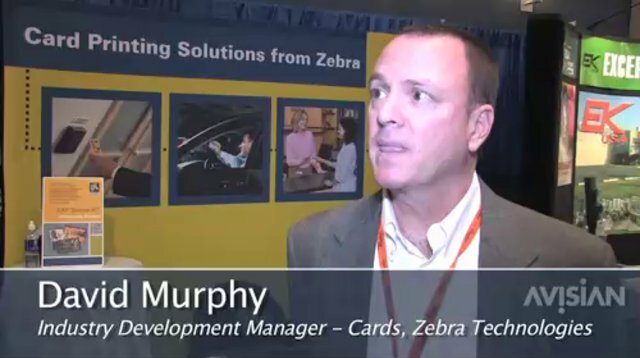 Perhaps the most common complaint I hear from card suppliers is that customers are always in a rush because they are “running out of cards or on their last ribbon.” Securing your supplies is key to knowing your supplies. In summary, the safe and careful management of consumables is an essential weapon in the battle against card fraud and it has the added benefit of helping ensure smooth office operation. Whether you employ a high-security solution like Fargo’s SecureVault or simply put common sense procedures into place, this should be established as an immediate goal of your issuance team. To learn more about Fargo’s SecureVault offering, click here.